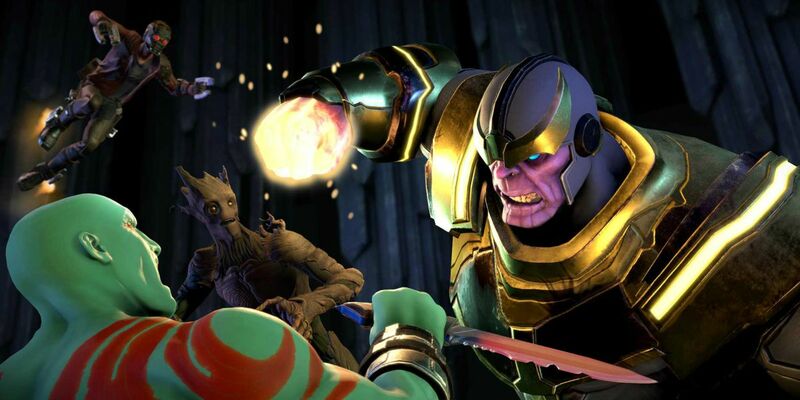 Word of Telltale’s narrative slant on Marvel’s Guardians of the Galaxy first surfaced amid last year’s voice actors’ strike, and was later confirmed at December’s Game Awards. In January, US videogame retailer GameStop seemingly unveiled the game’s plot and momentarily touted April 25 as its launch date. Telltale has now confirmed Guardians of the Galaxy will kick off its episodic run one week earlier on April 18, 2017. “Marvel’s Guardians of the Galaxy: The Telltale Series delivers a brand new story of the universe’s unlikeliest heroes, the rag-tag band of outlaws who go by the names Star-Lord, Gamora, Drax, Rocket, and Groot. In the wake of an epic battle, the Guardians discover an artifact of unspeakable power. Each of the Guardians has a reason to desire this relic, as does a ruthless enemy who is the last of her kind, and who will stop at nothing to tear it from their hands. Marvel’s Guardians of the Galaxy: The Telltale Series Episode One is due April 18.